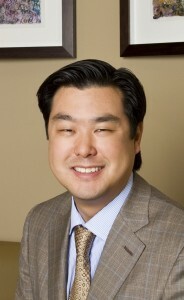 Dr. Richard Ha serves as president of the Dallas Plastic Surgery Institute and as a medical director of Epicentre Legacy. He specializes in cosmetic and reconstructive surgery and performs a variety of procedures including face/neck lifts, eyelid lifts, rhinoplasty, browlifts, breast augmentations and lifts, liposuction, tummy tucks, body/thigh lifts, arm lifts, laser resurfacing, fat grafting, and filler injections such as Botox™, Sculptra™, Radiesse™, and Juvederm™. Dr. Ha also performs procedures for post-mastectomy breast reconstruction, cleft lip and palate repair, craniofacial reconstruction and trauma, pediatric plastic surgery, skin cancer reconstruction (Moh’s), and microsurgery. Dr. Ha received his undergraduate degree with honors from Brown University and his medical degree from the Indiana University. He completed his general surgery, plastic surgery, and craniofacial fellowship training from UT Southwestern Medical Center. Dr. Ha is certified by the American Board of Plastic Surgery and is a Clinical Assistant Professor at the UT Southwestern Department of Plastic Surgery. He is active in the American Society of Plastic Surgeons and the American Society of Aesthetic Plastic Surgeons, lecturing nationally at courses and meetings, and serving on several committees. Dr. Ha has been selected as a D-Magazine Top Plastic Surgeon 2008-2011 and has been recognized by US News as a Top plastic surgeon. Indiana University School of Medicine, Indianapolis, Indiana, 8/93 to 5/97 M.D.